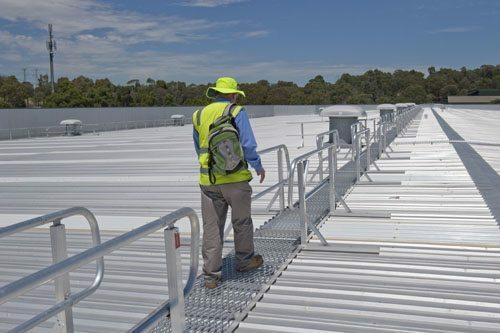 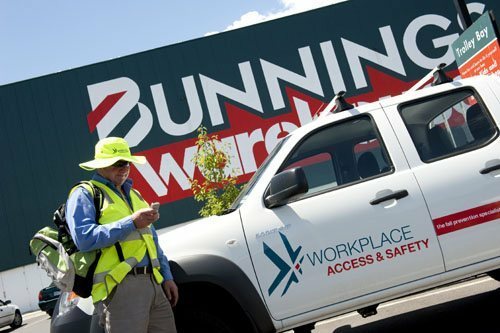 The project involved modifying the existing building to be retrofitted with a walkway system that enabled contractors to traverse the alsynite roof surface and access the roof top plant. 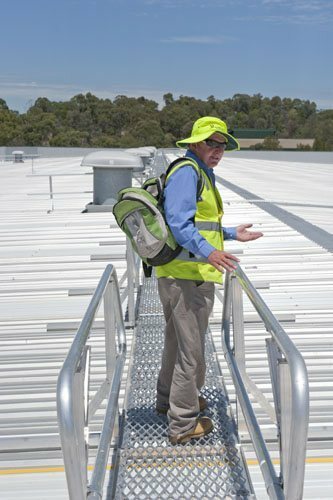 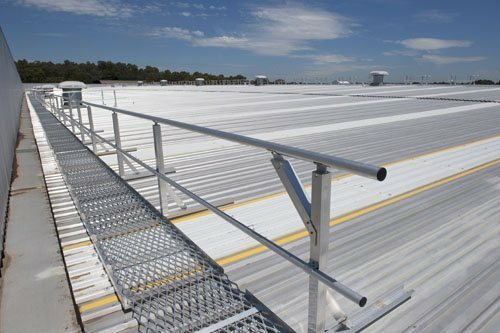 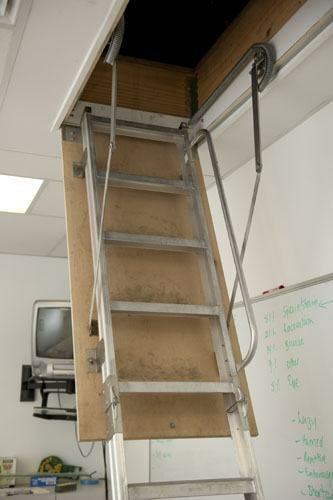 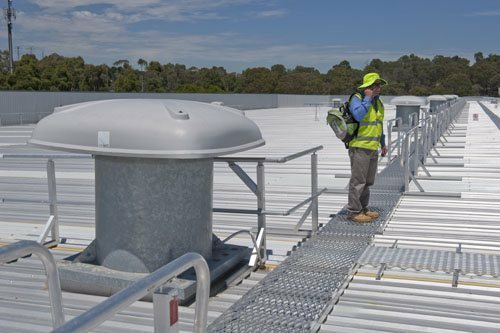 A Laserlite (alsynite) roof is regarded as a brittle surface, therefore any roof access installation requires a guardrail when crossing over to eliminate fall hazards. 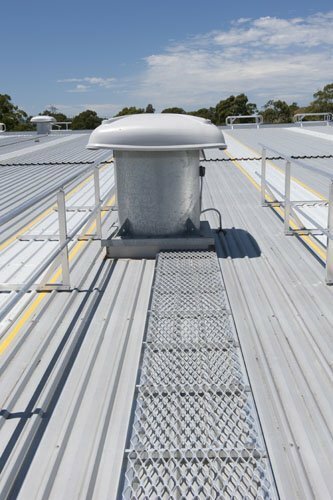 The roof features a number of smoke extraction fans that are service on a regular basis, so it was essential to ensure that each fan had a safe walkway access point. 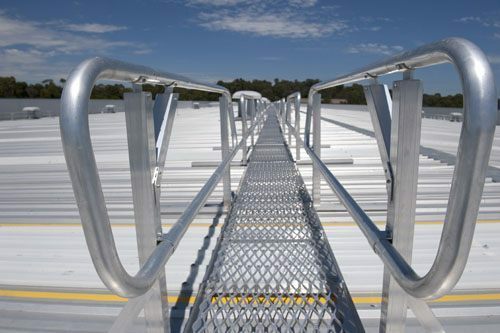 This involved the installation of cross over sections where the alsynite is utilised and featured a double guardrail with closure bends to ensure optimum safety and prevent the possibility of clothes snagging at the end of the guardrail. 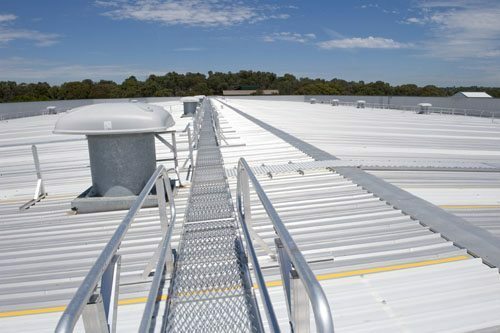 The roof was also marked with painted lines, parallel to the guardrail, to provide a clear visual indication of where parts of the alsynite surface are located.